How much does it cost to have a boiler installed? How much does it cost to have a new Central Heating System Installed? It depends on the size of the central heating system and the type of boiler, a very small system will be a little over £1800. However a large central heating system with over 15 radiators and an unvented cylinder is likely to be over £4000. For a FREE of charge no obligation quote please contact us. How much would I save on my heating bills by having a new condensation boiler fitted? Depends on how bad your old boiler is. Old boilers tend to range from only 55% to 70%; new condensing boilers however, are over 90% efficient. So depending on how much you use your heating a saving of around £150 to £300 per year would be normal. How long can you guarantee a new boiler for? We can offer between 2,3,5,7 and 10 years parts guarantees depending on which boiler you choose to have installed. How long does a boiler last, and how often should I change my boiler? Very much like cars there are big differences in quality from boiler manufacturers. If your boiler is more than 10 years old it is not likely to be very efficient. Good quality makes should last 15 years, lower quality makes 7 to 10 years. If your boiler keeps breaking down it can be more cost effective to change if for new. 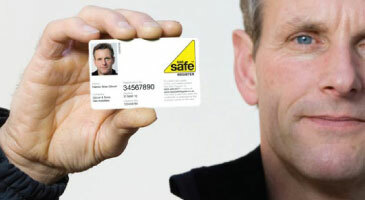 Yes, we are fully Gas Safe registered. It is very important that anyone working on a gas appliance is fully registered.